What is the Benefit of a Bequest or Planned Gift? When creating your final earthly plans, please remember the Augustinians. There are many ways to give after funds are needed. You may give through a bequest in a will through a fixed sum or percentage of your net estate or by naming the Augustinians as a beneficiary of your IRA, retirement plan, or life insurance policy. For more information, please email Province Chief Advancement Officer, Michael Gerrity, or call 773-595-4035. All inquiries are strictly confidential. 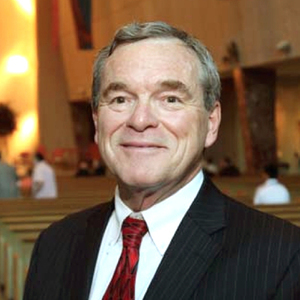 Michael Gerrity is a veteran Catholic fundraiser of 29 years. He joined the Augustinians in July 2011 as the Province Advancement Director. *Estimates 5% annual payout . St. Augustine, a Doctor and most revered and most quoted Saint of the Church, was well known for many and insightful thoughts and memorable quotes. "You have made us for Yourself, O Lord, and our hearts are restless until they rest in You," is considered by many to be one of his most profound thoughts. This one sentence speaks eloquently to restlessness, challenges and sufferings that accompany so many to recognize and remember those who have included the Augustinians in their wills and estate plans. These good people, like you, while journeying through this life grappling with their own restlessness have taken the time to make a significant generous gift to help the Augustinians. Previously, donors making bequests or other such planned gifts were honored in the Good Counsel Legacy organization. The “Restless Hearts” Society will honor any past planned giving donors meeting the Society’s criteria for membership. Robert H. Mace, Jr., Th.M.